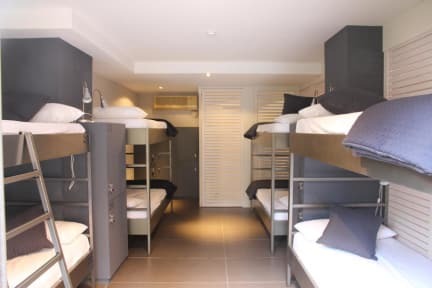 The hostel is in the city centre, between El Gotic and El Borne quarters, four blocks away from the central Plaza Catalunya and the mythical Ramblas, and two metro stations away from the beach of la Barceloneta. 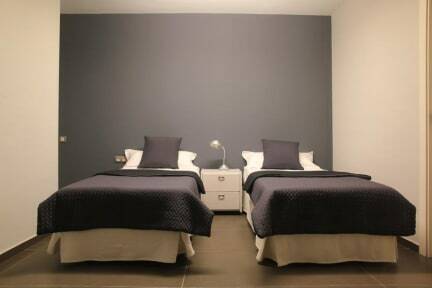 We have a common room where you can cook and share good moments with the rest of guests; a sofa to watch movies or relax after an intense day in Barcelona and an area with computers and Internet connection. We have a hair dryer, straightener and curler available for the clients. Don Moustache offers customers discounts for events, parties , museums, sightseeing and other tourist attractions as well as the possibility to make reservations at any of these sites from reception. Also, the Free Walking Tour meets at reception everyday! - Discounts for touristic attractions, museums and events. Check In: please contact us after booking to arrange your arrival time! Super Hostel! 1 puntje ter verbetering zijn de douches.